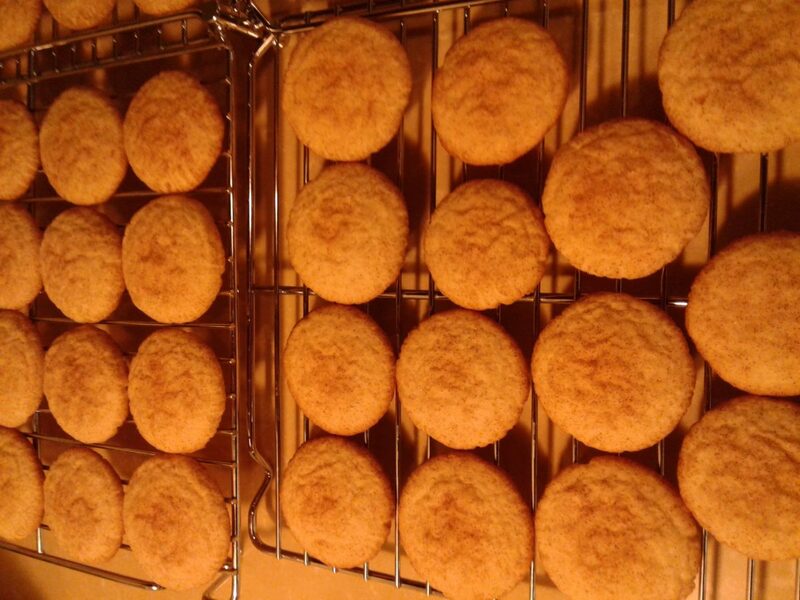 In following to my previous post about holiday baking, I figured I’d post an update on the Swedish cakes recipe. It’s one I inherited from my late mother-in-law, one she collected from an old friend. The recipe card notes that it’s GOOD. And she was right. 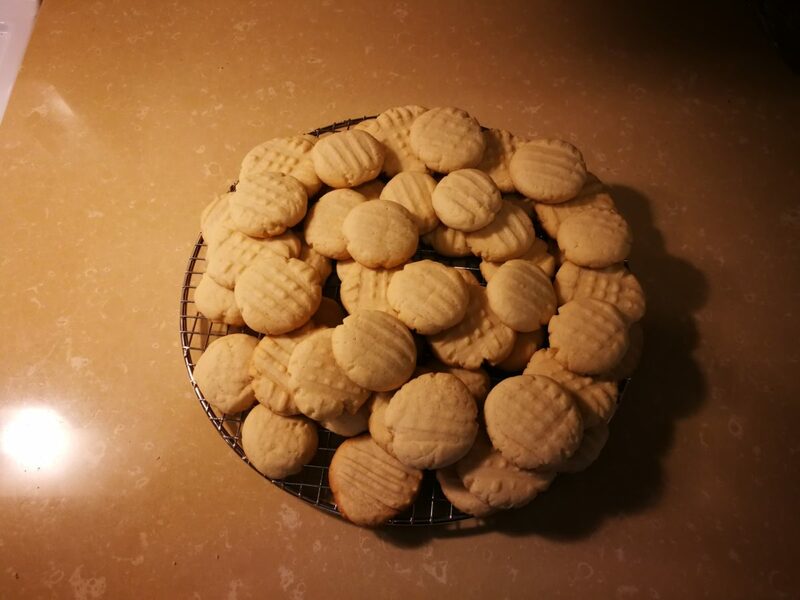 The recipe turned out very well, though it’s low yield: I had enough to make 2 dozen, which is a smaller quantity than I’m used to for a cookie recipe. 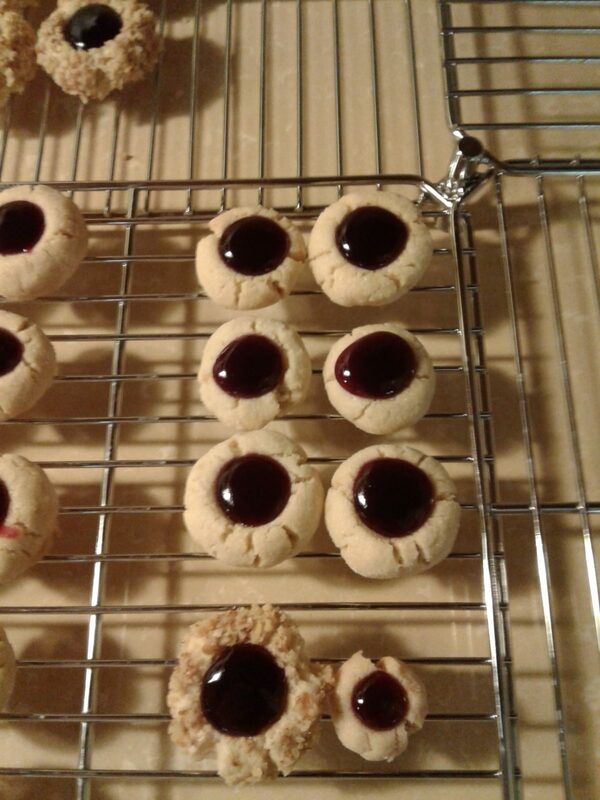 The recipe is called thimble cookies or thumbprint cookies because you make a dent in the cookie dough to hold jam or jelly. I used seedless raspberry jam. And you can roll them in sugar or walnuts. I tried each kind, but didn’t do as many in walnuts because not everyone in the family is a fan. The result does look like eyeballs from Aardman Animation if you put them in pairs. So they’d be good for Hallowe’en parties. A note, though, they also don’t travel exceptionally well, particularly if they get turned on their side….you may end up with jam all over. But in the end, it was a relaxing project, and not too much work which was exactly what I wanted. Mission accomplished! Ottawa is broiling today. According to the Weather Network, it’s 33 degrees Celcius, with a Humidex reading of 45. We’ve been under an Extreme Heat Warning since Friday. While there’s a breeze, there isn’t much relief from the blazing sun. 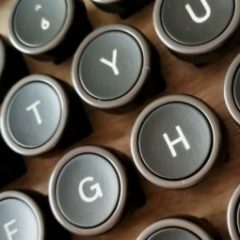 They said on the news last night that today is projected to be the hottest Canada Day since 1963. Thankfully, we don’t have to go anywhere today. My husband’s on duty this weekend, which means that he has to keep his eye on his work email and be prepared to go to work on his laptop if needed. It’s been quiet so far, but one never knows. Still, it puts the kibosh on making any big plans for the weekend. But the heat and humidity have clinched it.